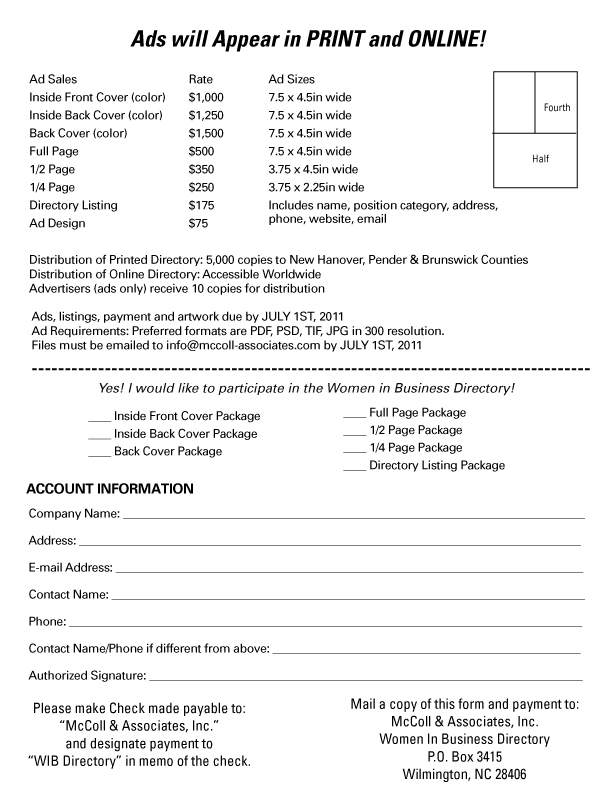 Are you looking to advertise to thousands of women who live, work, shop and play in Southeastern North Carolina? If so, do not miss this exciting opportunity to showcase yourself and support other women in business by advertising in the 2011 Women in Business Directory. 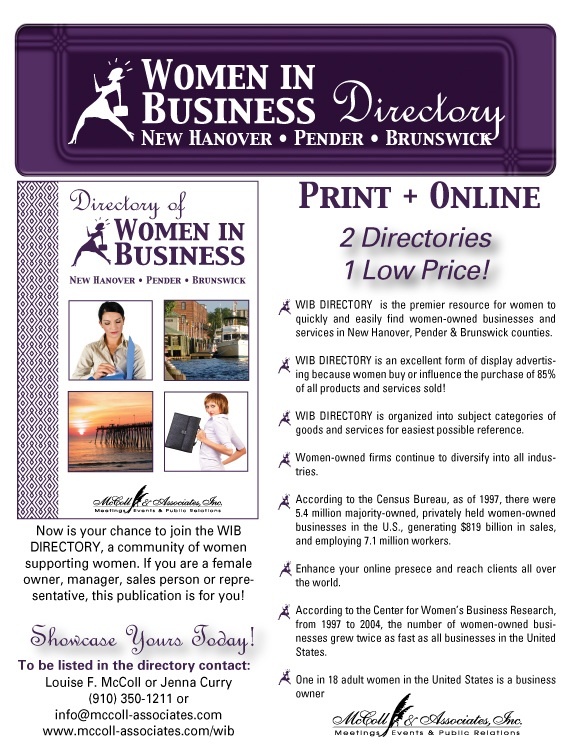 The only directory of its kind in our area, the Women in Business Directory is a resource guide available in print and online of women-owned businesses and women in business. If you are a female owner, manager, sales representative or agent, this publication is for you! Join other professional women in the first ever, Women in Business Directory. 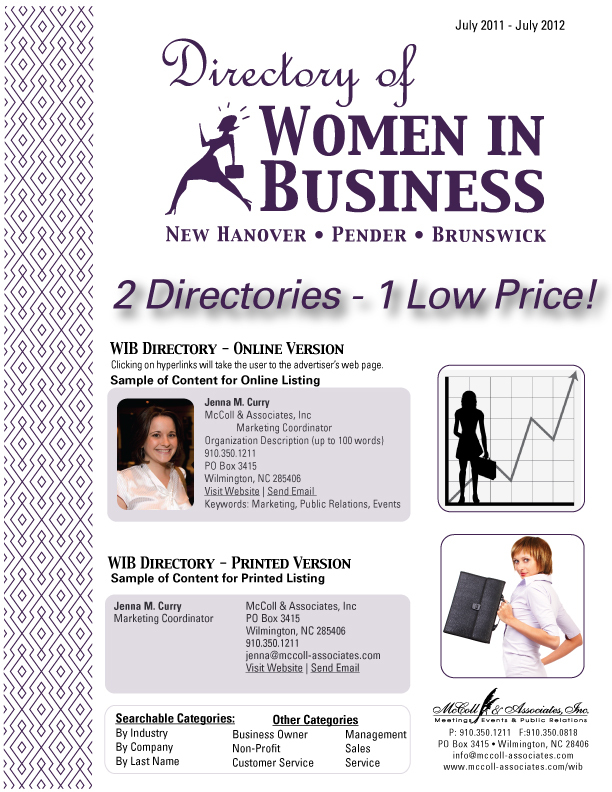 Why Advertise in the Women in Business Directory? Thank you for considering this unique opportunity to support other woman-owned businesses and business executives in your area. We look forward to hearing from you soon! President, McColl & Associates, Inc.